When it comes to prepping for your Structural Engineering (SE) exam, you are going to need the right SE exam review course to ensure you score high. Passing this exam is no easy feat, but it’s well worth it for your career. With an SE license, you show employers and the public that you have the commitment it takes to open doors throughout your entire career. That’s why you have made the right decision to take this test and add these two simple letters to the end of your name. So, let’s find you the right SE prep course that works with your learning style and schedule. I have compared the top SE Exam review courses on the market to help you make this decision. Check it out! Comprehensive Course: The price might seem high for the PPI course, but it comes with everything you need to pass the SE exam. Top-Notch Student Support: You will have instructors by your side throughout your entire study process, whether it be by email, in class, or through scheduling a session. Flexible Course: It’s hard to find the time to study, so PPI to Pass SE offers convenient scheduling and risk free enrollment options that make it easy to prep for your exam. Test Taking Strategies: With your PPI2Pass SE course, you will get tons of helpful test taking and time management strategies. Q: Is there a pass guarantee? A: If you don’t pass your SE exam, your PPItoPass course will let you repeat the class for free! Q: What if I miss a live lecture? A: This is not a problem with PPItoPass since they record all the live lectures; you can go into their archives and watch videos anytime. The Bottom Line: There’s a reason why PPItoPass is our number one ranked SE Prep course. Unlike other courses that charge you for additional study materials, PPI is a complete program that comes with all the study materials you need. This includes practice exams that mirror the real NCEES exam and 70+ hours of instruction from experts that offer student support throughout the entire prep process. The student rankings and passing rate of this course certainly agree with our assessment. No matter what type of student you are, PPI offers instructor-led and self-paced courses that can be viewed on any type of device. With the passing guarantee, PPI is the obvious best choice for your SE prep journey. So what are you waiting for, start studying today with PPItoPass! Specialized Instructors: Your SE exam review course comes with multiple instructors. Each instructor teaches the subject that they specialize in, ensuring that you’re in the right hands. Different Study Formats and Tools: School of PE offers refresher SE classes and workshop sessions that allow you to review concepts and practice problems. High Passing Rates: The numbers speak for themself! School of PE’s student pass rates are higher than the national average. No Pass Guarantee: School of PE does not have many enrollment risks, but there is no specific money back guarantee for not passing the SE exam. The refund policy is tricky too, so make sure to read the fine print before purchasing. Q: Does School of PE offer review courses for both Lateral Forces and Vertical Forces? A: Of course! Your structural engineering review course comes with both lateral and vertical forces. You can choose to take one course at a time or both courses at once. Q: Can I access my School of PE course from any electronic device? A: Sure thing! As long as you have access to the internet, you can utilize your SE prep course on any device from anywhere. 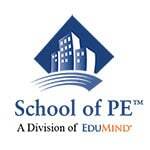 The Bottom Line: School of PE is another great course option for those that are prepping for the SE exam. If you choose to go with School of PE, you will have access to the 60 hour Lateral Forces and 60 hour Vertical Forces. Students enjoy the dual format of this course that consists of refresher classes and workshop sessions. For more than a decade, School of PE has been helping students pass the SE exam. This company knows what they are doing thanks to their years of experience and ability to adapt based on student feedback. No matter what your study plan is going to be, you can choose between live online instructor-led sessions or an On-Demand course format that includes immediate access to video lessons, notes, and workshop problems. Instructor Assistance During Live Webinars: During this 11 part SE prep course, you can get support from your instructors during each class session. Passing Guarantee: If you don’t pass your exam, ASCE will sign you up for the next course for free. Group Rates Available: If you have 2 or more engineers preparing for the SE exam, you can register as a group for a significantly discounted price. Needs Adobe Flash and Reader: Before you purchase their SE course, make sure your computer can download Adobe Flash and Reader in order to actually use it. Q: Can I watch ASCE video lessons later if I missed the class? A: You will have unlimited access to On-demand video recordings up until your SE exam date. So feel free to view those whenever you want! Q: What type of instructors teach ASCE classes? A: For each part of this SE course, you will have expert instructors that specialize in their topic guiding you along the way. The Bottom Line: When it comes to SE Prep courses, ASCE is a decent course that provides you with a solid course schedule to help you pass the SE exam. 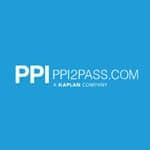 The 11-part live course is led by the most qualified instructors, but for those that want a more flexible self-paced course, I would look into a different educational program such as PPI2Pass. Even though ASCE allows you to rewatch live lessons whenever you want, I prefer prep courses that allow me to review concepts and practice with real-exam like problems. However, the group discount makes this course unique, so if you have a couple engineering friends that are also taking the SE exam, this course could be a good option for you. Your Own Personalized Tutor: Chegg tutors are ready to help you with any questions you have during your SE exam prep. Help Whenever you Need It: At Chegg, tutors are available 24/7. So even if you have a quick question about your SE prep, you can get insight and advice from these online private tutors. Easy to Use: All you need to do is submit a question and you will be paired with a tutor that is qualified to help you. SE Study Materials NOT Provided: Chegg tutors provide you with one-on-one help with your studies, but they do not come with SE exam study materials. Q: Is there a specific course for SE Exam Prep? A: There is no organized course package for the SE Exam, but the tutors will be personalized to your level of knowledge and schedule. Q: How does the pricing work for Chegg Tutors? A: Chegg Tutors offers a weekly plan for $15 per week. With this subscription, you get the first 30 minutes for free! You can then switch to a different weekly, monthly, annual, or pay-as-you-go plan after you sign up with Chegg. The Bottom Line: Chegg Tutors may not be a SE prep course that provides you with study materials and practice problems (like our number one pick), but they offer a unique type of student support that many students value. I think these tutors are a great resource for those that don’t need a full course and just need help fine tuning their knowledge. Alternatively, if you are struggling with your course and could use the personal touch of a private tutor, Chegg could be a great tool for you! Make sure you find a tutor that can help you with your specific test prep needs before you sign up with Chegg. Best of luck with your studies!